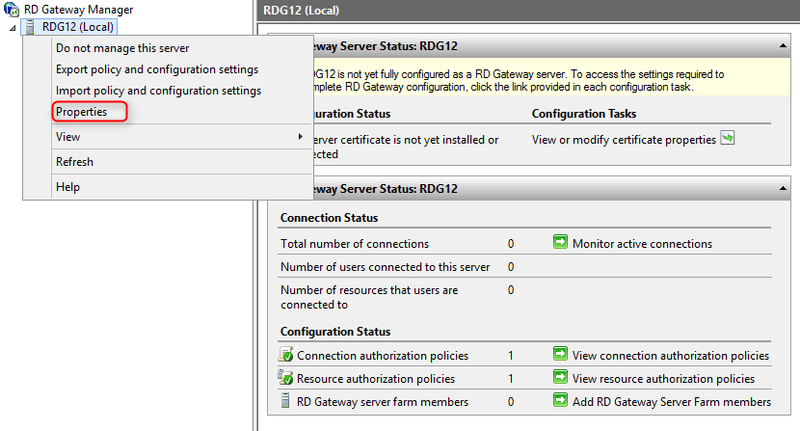 In part 1 and part 2, we migrated the associated users, groups and policies from the Remote Desktop Gateway server, RDG08, to RDG12. 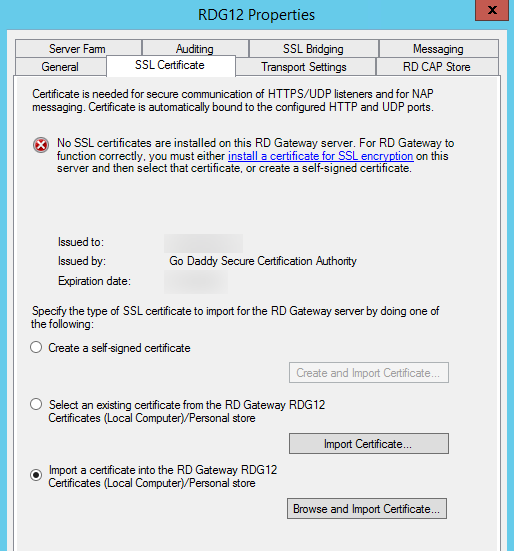 In this part, we are going to migrate the certificate of Remote Desktop Gateway server to RDG12. 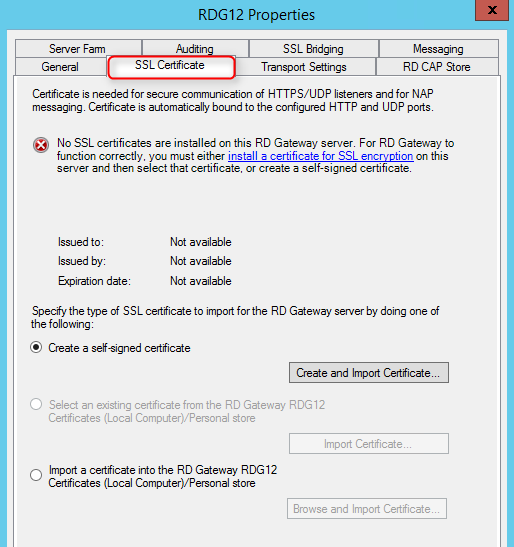 This part is intended to export the certificate from RDG08 and then import it to RDG12. 2. 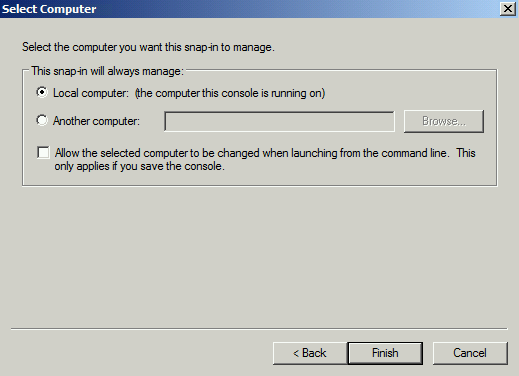 Launch "Microsoft Management Console". 4. 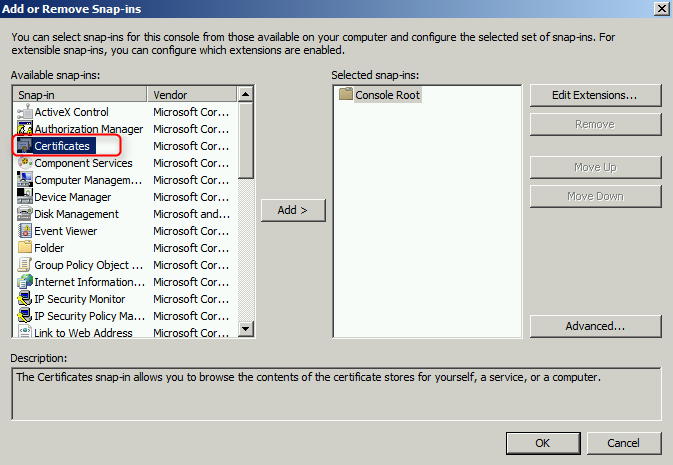 On "Add or Remove Snap-ins" window, double-click "Certificates". 10. On right pane, right-click the certificate, select "All Tasks > Export". 12. 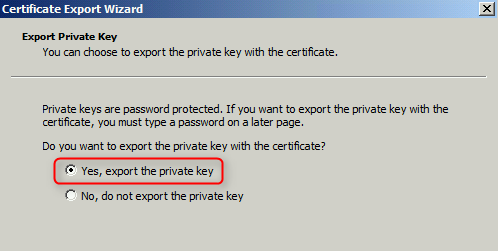 On "Export Private Key" window, select "Yes, export the private key". 14. On "Export File Format" window, under "Personal Information Exchange - PKCS #12 (.PFX)", check "Include all certificates in the certification path of possible" and "Export all extended properties". 16. On "Password" window, provide a password for this certificate. 18. On "File to Export" window, next to "File name", enter "C:\Mig\RDG.pfx". 20. 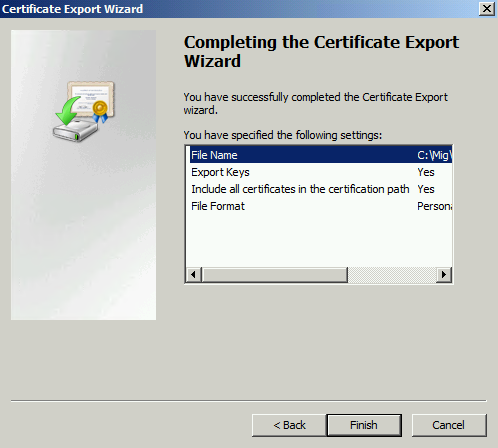 On "Completing the Certificate Export Wizard" window, click "Finish". 21. 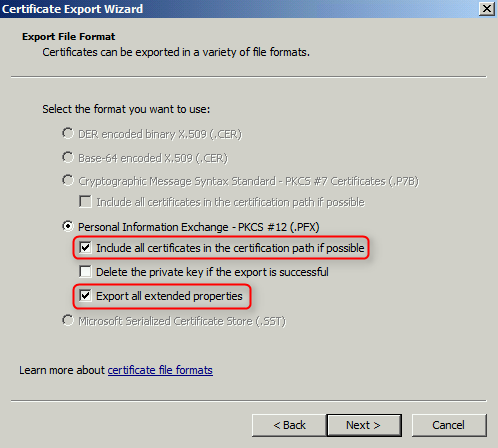 On "Certificate Export Wizard" window, click "OK". 3. Right-click "RDG12 (Local)", select "Properties". 4. On "RDG12 Properties", select "SSL Certificate". 5. 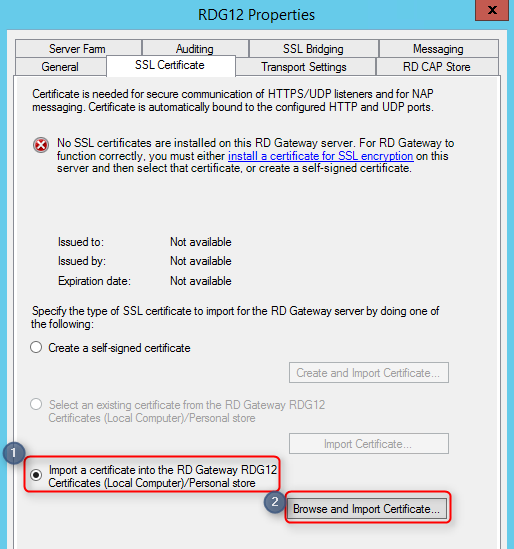 Select "Import a certificate into the RD Gateway RDG12 Certificates (Local Computer)/Personal store" and then click "Browse and Import Certificate". 6. 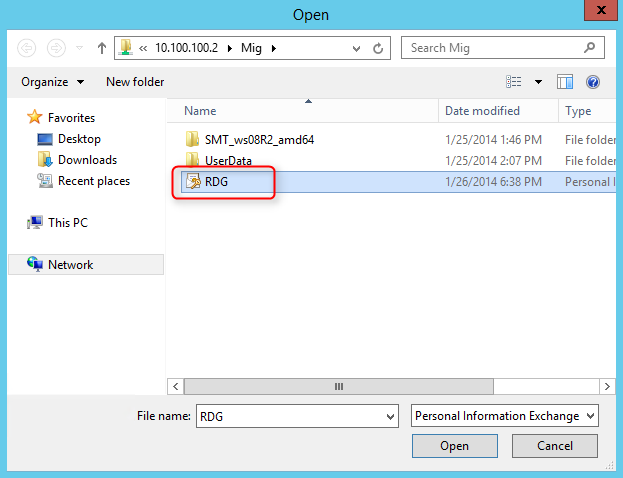 On "Open" window, navigate to "\\10.100.100.2\Mig", and then select "RDG". 8. 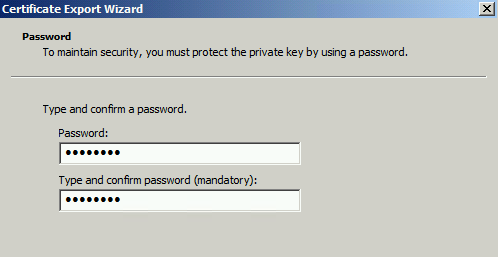 On "Enter Private Key Password" window, enter the password of this certificate. 10. On "Certificate Import" window, click "OK". 11. On "RDG12 Properties", click "OK". 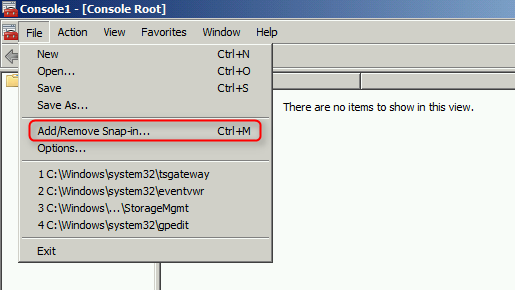 As a result, users can use a new password to connect the Remote Desktop Gateway server, RDG12. Please go to the following web sites to read the previous of this series.